Legend has it that dogs and cats eat grass because they are ill and need to vomit or they are suffering from some dietary deficiency. 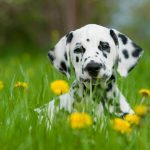 Veterinarians from the University of California at Davis School of Veterinary Medicine designed surveys to question pet owners about their pets’ grass-eating habits. Owners of healthy dogs reported that 80 percent of dogs with access to plants had eaten grass or other plants. 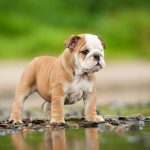 Only eight percent of dogs showed signs of illness prior to ingesting plant material, and only 22 percent of those vomited afterward. Younger dogs were more likely to eat plants, but less likely to appear ill prior to eating or vomit after eating the plant material. Rabies is real and it is alive and well in the Big Country. Many cases of rabies have already been reported this year. The Texas State Department of Health Services indicates that the incidence of the disease is on the rise. The disease is caused by a virus that is spread from mammal to mammal through saliva. Typically, it occurs when an infected animal bites another animal or a person. There is no recovery from the disease. Infected animals and people die from the neurologic effects of the disease. In 2010 there were 66 confirmed cases of rabies in Jones, Taylor, Callahan, Shackleford and Haskell counties. Early indications are that there will be more cases in 2011. The disease follows a cycle of several years of increase followed by several years of decrease. More cases can be expected. Every year, rattlesnakes bite hundreds of dogs and cats in the Big Country. Animals are naturally curious and get bitten while investigating the rattling or slithering snake. The venom injected by the snake causes immediate pain, swelling and tissue damage. The severity of bites varies greatly. The damage done to the animal can range from mild swelling, to large areas of skin and muscle dying, to even the death of the animal. Avoiding snakes is best. Keep dogs away from areas where snakes are likely to be: tall grass and weeds, brush and junk piles, old houses and barns. Avoidance training is also valuable to teach dogs to stay away from snakes. If your dog encounters a snake, try to call your dog away and leave the area. Never approach the snake and risk being bitten! As pets are becoming more a part of the social fabric, it is important that they have manners that allow them to live indoors. Some of a dog’s instinctual behavior is helpful in teaching indoor manners and some is not. Dogs that eliminate in the house were probably never properly housetrained. A well-housetrained dog can be a joy to live with and add much to our lives. 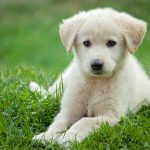 Puppies should begin their housetraining at 6 to 8 weeks of age. Developing a routine is most important. Puppies usually eliminate when they first wake up in the morning, after eating and after naps. At these times, take the puppy outside and allow it to do its business. Use a command such as “Go potty,” or “Do your business,” as they begin. Repeating this command will teach the puppy to eliminate on command and make the process much easier. It is important to give the puppy up to 10 minutes. Give them lots of praise when they are finished. If you rush and take them inside too soon, the session is wasted. “My dog doesn’t have heartworms. He’s not sick. He can’t have heartworms.” This is a very common misconception by pet owners heard daily by veterinarians. The fact is; most dogs infected with heartworms have absolutely no symptoms for several years until they develop heart and lung damage from the heartworm infestation. Heartworms are spread from infected dogs to other dogs by mosquitoes. The worms migrate to the right side of the heart and live there and in the large vessel going to the lungs. They cause an increased workload on the heart and inflammation that leads to scarring of the lungs. The first sign of disease may not appear for several years and usually begins as a mild cough. By that time, severe damage has already been done. Spring rains and summer temperatures signal and cause the beginning of flea season. 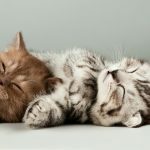 While dogs, cats and other small mammals are fleas’ favorite hosts, humans will provide a good meal for any hungry flea. Fleas are a nuisance but can also transmit diseases to people such as bubonic plague, murine typhus and spotted fever. They cause allergies, skin disease, anemia and spread various infectious diseases to our four-legged friends as well. Fleas are truly a pet owner’s curse and worst nightmare. Designed to survive and efficient at reproducing, these blood-sucking pests can quickly overrun a house. For every adult flea seen on a dog or cat, there are dozens more in various life stages (eggs, larvae and pupae) around the pet’s environment. No one likes to think about a beloved pet growing older. We cringe, as the once exuberant puppy needs help up stairs or tires after a short walk. When the always-healthy family dog suddenly stops eating, we worry what the cause might be. Extending your pet’s life may require some effort and investment, but enjoying the extra years is invaluable. 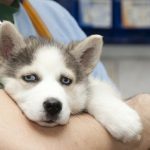 As human medicine is moving from a disease-based model to a preventive, proactive approach, veterinary medicine is following the same pattern. It makes much more sense to prevent a disease rather than to attempt to treat one in our precious companions. 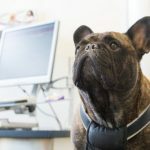 Many veterinarians have shifted toward wellness protocols that get our pets into their offices two, three or even four times a year. More visits mean more chances to find small issues before they become big problems. After a long winter, your dog would enjoy some special attention from the most important person in its life. The days are getting warmer, longer and better for enjoying your canine companion. The following are a few tips for ushering in spring with your dog. Lose a few. Chances are Fido has gained a few pounds over the winter. If you run your fingers over the sides of your dog’s chest and cannot easily feel ribs, there is a weight problem. Leaner dogs, just like people, tend to have fewer health problems related to weight especially as they get older. The amount of food eaten is the key to weight control. Most dogs need much less food than we think they do. Consult your veterinarian to determine how much food your dog really needs. Prescription diet foods are available for those dogs that just cannot shed the pounds. Certain medical conditions can cause obesity. Your veterinarian is best equipped to diagnose any of these conditions. Pets have teeth too! We often do not think about the care of our pets’ teeth until an illness draws our attention to their mouths. Dental disease is very common in dogs and cats. If they would brush and floss twice a day, they would not have so many problems. So it becomes necessary for us to provide the needed care to keep our pets’ mouths healthy. 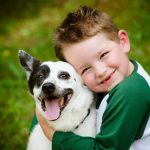 Understanding the importance of your pet’s dental health is a great first step for most pet owners. 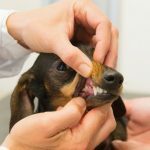 Your pet doesn’t have to suffer from dental disease and you don’t have to tolerate “doggy breath.” Making a dental plan with your veterinarian will not only prevent dental disease, but may stop other health problems as well. The first step is to have your veterinarian do a complete oral exam on your pet. Note any areas of excessive tartar buildup and any other concerns, such as fractured teeth, bleeding gums or ulcerations in the mouth.